Mix milk, flour, garlic powder in a bowl and mix well. Add cauliflower to the bowl and cover with the mix. Place on a baking dish and bake for 20 minutes. 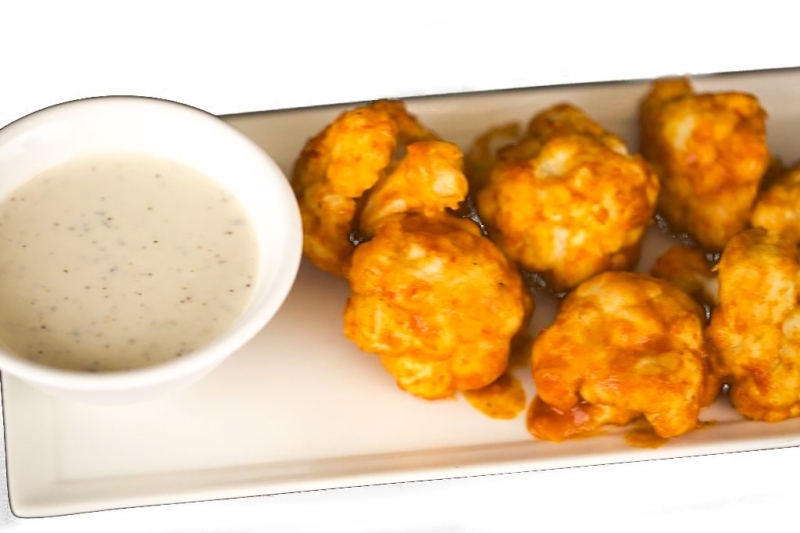 While cauliflower is baking, make the buffalo sauce by adding the hot sauce and olive oil in a small bowl. Remove cauliflower and pour the buffalo sauce over the cauliflower and continue to bake for 5 minutes. Serve with Chef V Raw Mayonnaise and sliced organic celery sticks.